A rich tapestry of history, landscape and wildlife awaits at Yanga National Park. 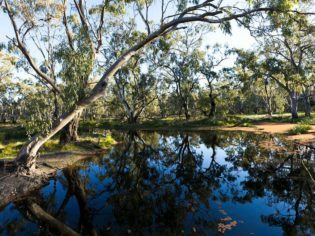 Yanga National Park is located half way between Hay and Mildura, and should be on your list for your next trip into Outback NSW. The rugged landscape, abundant birdlife and fascinating history of this area make it well worth the visit. The park has a stunning 160 km of river frontage along the Murrumbidgee, making it a perfect spot for a leisurely swim, fish or canoe. The river and surrounding red gum wetlands also offer important habitat and foraging grounds for over 150 bird species and other wildlife, including the endangered Southern Bell Frog. Grab your camera and take the easy 1 km walk along the shores of Yanga Lake, where you can drop into the bird hide and capture some of the diverse wildlife for yourself. Ranger-led Discovery activities, including tag-a-long vehicle tours, kid’s activities, and Ranger information sessions, make Yanga a family-friendly national park. There are also experienced guides available to show you around the park. Hop into the Outback Geo Adventures 12-seater ‘geo-bus’ and explore the pristine beauty of the area. 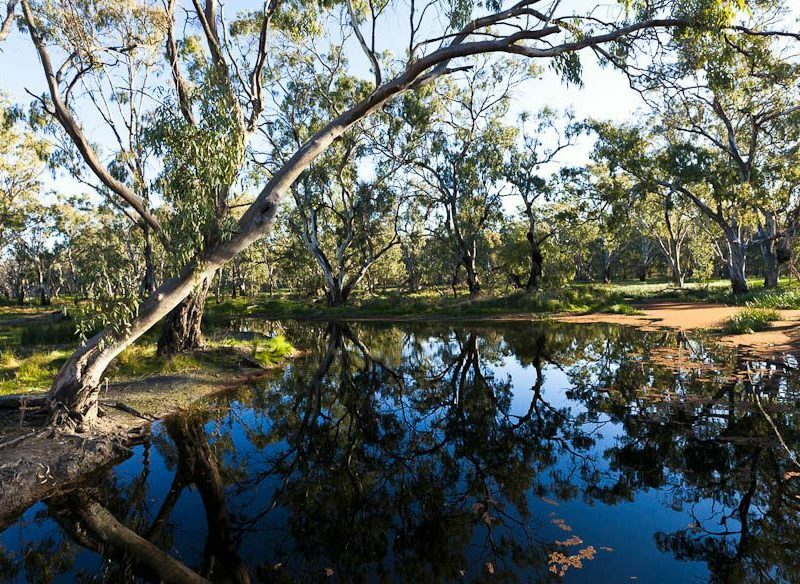 The tour offers guided interpretation delivered by enthusiastic and informed guides, exclusive access to a 30km stretch of the Murrumbidgee River, and a rustic, bush morning tea. The stories of the people and landscape around Yanga National Park can be found in various displays at the Yanga Homestead, Yanga Woolshed and Cook’s Cottage, as well as signage dotted around the Park, reminders of the rich pastoral history of this region. This area provided vital resources for its Aboriginal inhabitants, including waterbirds, fish and yabbies, as well as shelter and medicine. Keep an eye out around the lake edges for middens of fresh water mussels and scarred trees, once stripped to make canoes. Learn more about the lives of the people who once lived around Yanga in the exhibition at the Cook’s Cottage featuring station memorabilia, photos and home movies, as well as accounts from some local characters. The regular ranger guided tours of the Yanga Homestead, built during the 1870s, reveal more about the lives of the people who lived and worked on the once productive Riverina property (audio tours will be available from June 2013). Wander through the huge century-old Yanga Woolshed and explore its 19th century runs and pens. When you’ve had your fill of history, take a break under the large covered BBQ area near the woolshed – a great spot to enjoy lunch with views of the river. If it is inland water activities you are after, you can’t go past the park’s recreation area on Yanga Lake. Large shady areas with a gentle sandy approach to the water makes it perfect for kids. The 1200 ha lake can be accessed at Regatta Beach for safe swimming, boating and fishing, with facilities including toilets, a boat ramp and gas BBQ facilities at the traditional yacht and ski club site on the western shore. An overnight stay is the perfect way to soak up the peaceful atmosphere and camping within the park is free, with three campgrounds to choose from to enjoy a spectacular sunset and witness the incredible tapestry of stars filling Yanga’s night skies.